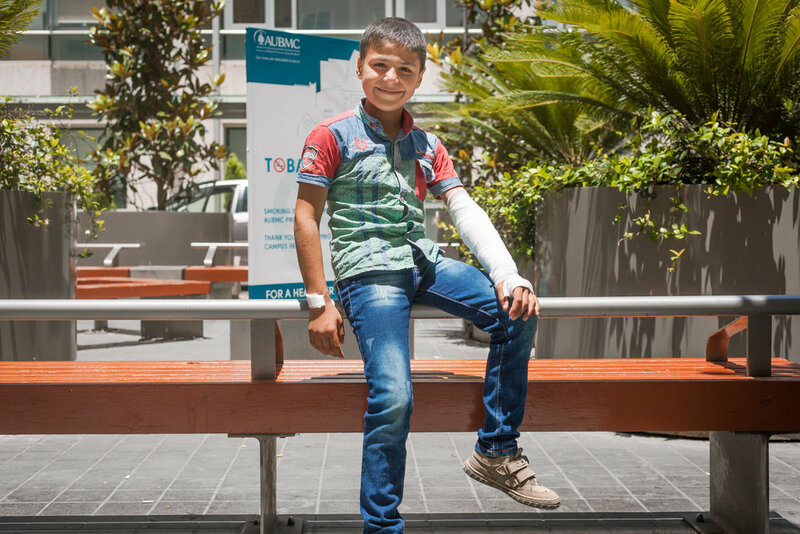 INARA provides life-altering medical care for children from conflict areas who have catastrophic injuries or illnesses and are unable to access treatment due to war. We step in to fill the gaps in access to medical treatment when not provided by other institutions or non-profits, including financial assistance where needed. We do not compete with, but complement pre-existing medical facilities by building partnerships in order to secure reduced or pro bono care. We provide a dedicated caseworker to each child. They establish the link between the vulnerable children that we work with and a network of medical providers. We follow the case from the beginning of treatment to the end, including through the rehabilitation stages. Our initial operation is based out of Beirut, Lebanon. An assessment carried out by us in April 2015 highlighted significant gaps in medical assistance to children in the refugee population. Humanitarian organizations are overwhelmed and have neither the capacity, mandate, nor capability to provide certain types of treatment. We believe the need here is the greatest and our pre-existing network means we are in the best position to provide immediate care. Our experience in Lebanon will act as the operational blueprint for our expansion into other countries, fully recognizing differing needs and gaps. We will adjust our response accordingly. It is our fundamental belief that it is our humanitarian responsibility to assist children victims of conflict.